This year I decided to go all out for my fall decor this year! 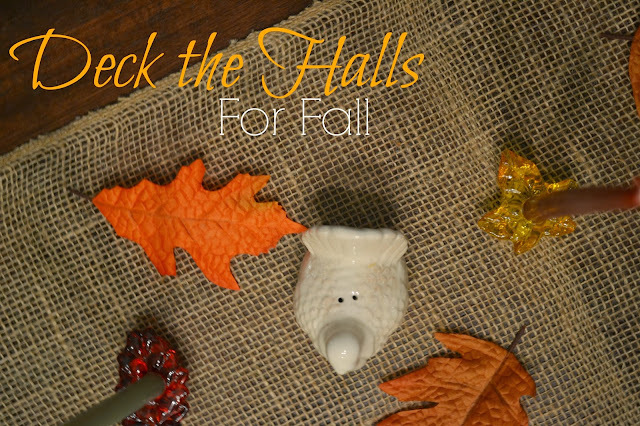 I decorated at the beginning of September and knew I'd be hosting Thanksgiving this year - so that's 3 months that these decorations would be out!! Christmas only gets left out for 1 month - what have I been thinking? 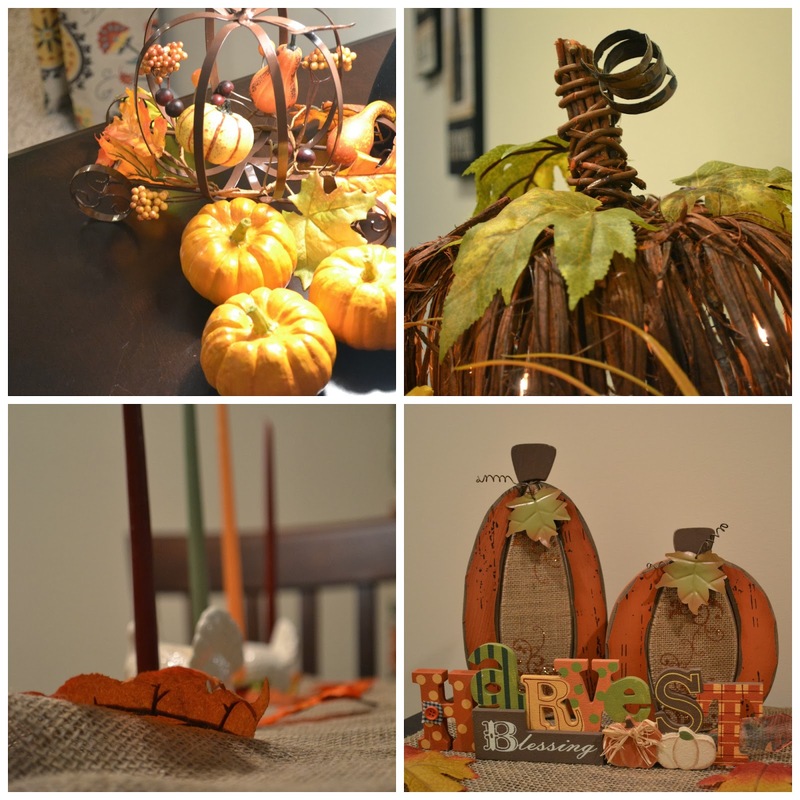 After getting out the few decorations from the previous year and a few too many trips to Hobby Lobby (with 40% off coupons, of course), I had all I needed to deck my house out for fall. The only problem was... I didn't know where to put any of it. I had more decor than I could possible need, I just couldn't figure out how to make it come together. I called my sister Jennifer to the rescue! She came in and helped magically pull it all together. 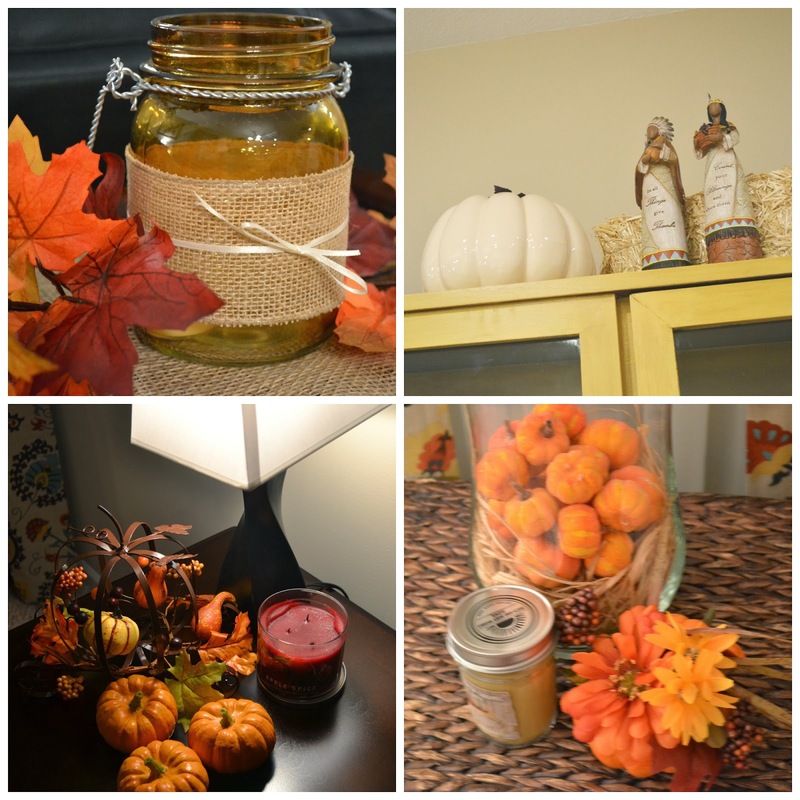 Take a look at how it all turned out! Your home looks very beautiful! I LOVE all the decorations! Thanks! I may have gotten carried away, but I certainly have enjoyed having my house decorated! 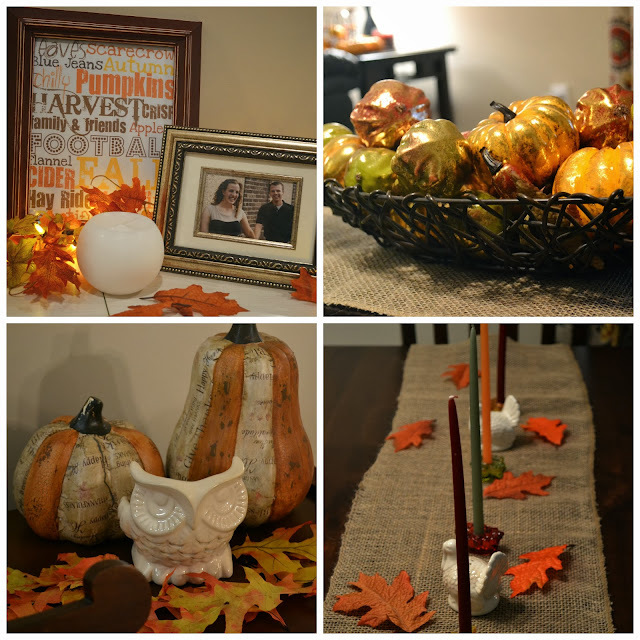 We've enjoyed a pumpkin carving party and 'Friendsgiving' here!